When I was in Grade 11, we did this poem by Wilfred Owen, named as the title above. He had mused about the truth behind the words that had mainly been used to recruit soldiers for the First World War in Britain. Dulce et decorum est pro patria mori. It is sweet and fitting to die for one’s country. We all know what a super hero film looks like right? There are the heroes, mainly male, pretty, buff and quircky. There is the villain, clearly evil, mislead, doomed to fail in the end. There are fights, there are periods of highs, periods of lows, humour, some bitter sweet sadness, bitter sweet pleasure and ultimately, VICTORY! And of course then there is the hook that’s supposed to drag you back to the cinemas for the next one. Before the first Avengers (and Thor…) I had pretty much given up on Super Hero movies. They were… nice. But, they weren’t necessarily special. I usally left the cinemas none the wiser, none the happier but strangely satisfied because I had watched another one. 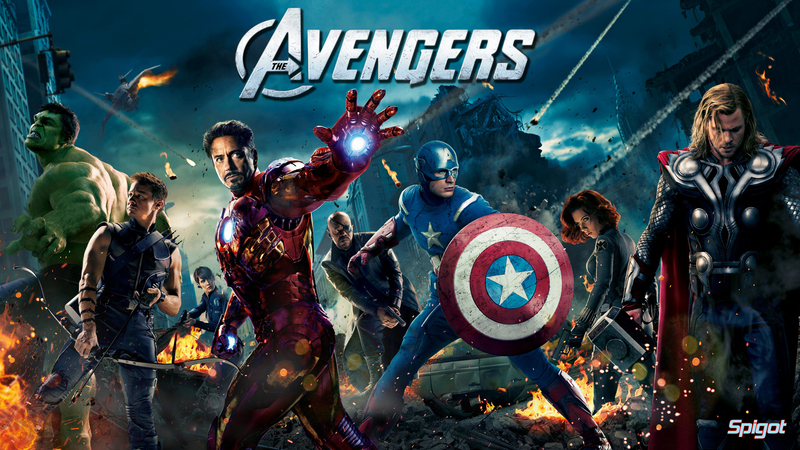 The Avengers (the first one) had rekindled my love for these comic books heroes. I think the whole world was pretty much in agreement that it was one of the best movies of the year, possibly the past couple of years because – let’s face it – entertainment had become… someone unentertaining. In the world of slow motion hobbits, trekking across New Zealand with a constant mope on their faces, Avengers had put the oomph back into action/sci-fi movies. It’s momentum had carried on through Iron Man 3 and had even given birth to a somewhat mutated and disfigured child called Agents of Shield (I’ve been told it gets better, but the original five episodes was so bad that I’d have gone to the back and shot it if I could). Even the X-Men films had gotten better. And, through all of this – I had… hope. The first Avengers had flowed in a way that felt natural. And, as Joss Whedon had carried on writing and direction the second film, I had hoped that he would be able to pull it through. The movie felt forced, the humor overdone and half-baked at best. What’s more, I left the film with the distinct feeling that I had seen more of Hawk Eye (whom I don’t really like) than Tony Stark (Hello Baby) and Thor (Yeah, you to…) combined. I don’t like them for their bodies of course, it’s the characters that I like. The rest are… Like lettuce in a salad. Green, slightly moist but generally the stuff you least like to see in your salad. I also, somehow felt slightly out of the loop. I guess the idea would’ve been to have watched Agents of Shield. And, Captain America. For whom I don’t have a lot of time either. But. I didn’t. So I was left feeling as if I had joined a conversation that everybody expect me to follow but nobody really bothered to explain to me. What’s more, the whole movie felt like a setup. But they did, if only to give way to the new Avengers. Yes. That’s what the movie came down to me. It was a Setup. They used this platform to create history and characters for their new (because come on, they WILL make more) series or movie. They just don’t have to pay the bigger actors to play in it. It is sweet and fitting. The underlying message of the Avengers was that it is sweet and fitting to die being a hero. To save the innocent. To die for one’s country. For the world. It felt… like patriotism. It felt like propaganda. And somehow, it is something that I didn’t expect from a Whedon film. There were quite a lot of things in the film that I actually didn’t expect from him. It wasn’t bad. But it was somewhat disappointing, if you are like me and you like to analyse characters and patterns and flow. I am not satisfied with the ordinary. I am not satisfied with the usual and I had gone there expecting more and I didn’t get it. The only true shining light through the whole movie was James Spader as Ultron. And, he is brilliant. Even as a CGI android, he is truly amazing. But, he shouldn’t have been the only one. Banner had shown in the previous movie, but had been reduced to… something else in this one. Romanov’s character had been cut down to a cliche. I’ll speak of these aspects in other posts. The truth will remain that I had expected more. I had expected a lot more.